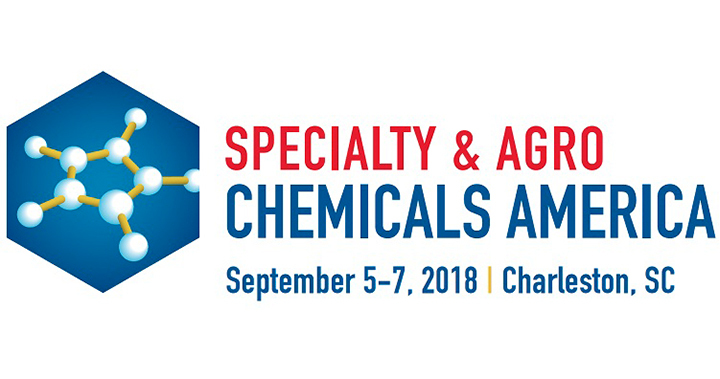 Tiarco Chemical, a division of TRCC and specialty chemical manufacturer, enjoyed attending and exhibiting at Specialty & Agro Chemicals America September 5-7 in Charleston, South Carolina. This forum focuses on agrochemical and specialty chemical markets based in America to offer new insight and the latest trends in the market for industry leaders. Missed the forum? Learn more about Tiarco Chemical and contact them online.